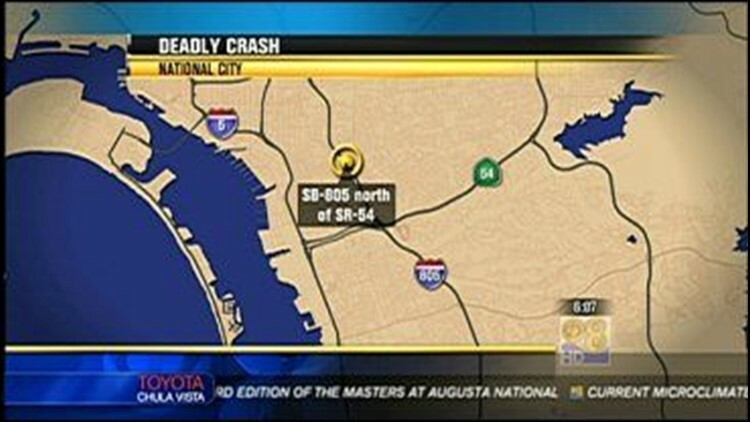 The California Highway Patrol reported that a single-car crash early Sunday killed a woman and resulted in the arrest of a man on suspicion of drunken driving. Highway 54 interchange, Officer Brad Baehr said. The driver of a BMW lost control of his vehicle, which went up an embankment and flipped, coming to rest back in the traffic lanes, Baehr said. Both occupants were thrown from the car, with the woman falling dead in the lanes, according to the officer. Baehr said the woman was run over by a pickup truck, but it's believed she was already deceased. She remains unidentified, according to the San Diego County Medical Examiner's Office. Baehr said the pickup driver stopped momentarily but then drove off. Officers want the driver to contact them, or witnesses to provide descriptions of the pickup driver or vehicle, he said. The driver of the BMW was taken to Scripps-Mercy Hospital with moderate injuries and arrested, Baehr said.